Tim Burton is taking his international touring exhibition “The World of Tim Burton” to Hong Kong from November 5th, 2016 – January 23rd, 2017. For the tour stop, Hot Toys has been invited to create a high-quality collectible art piece based on Burton's 1980s drawing known as “Untitled (Creature Series)”, one of the signature artworks in the exhibition. 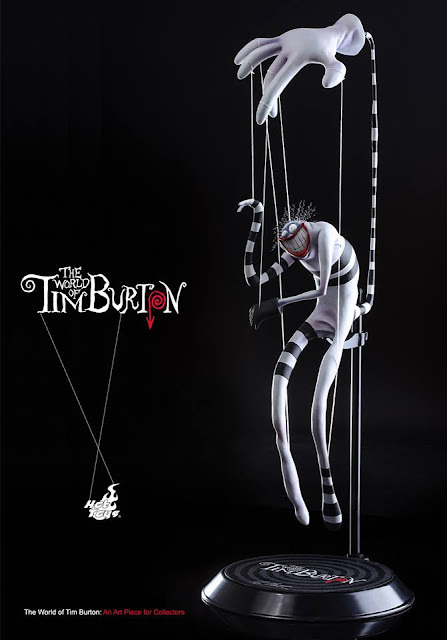 “The World of Tim Burton: An Art Piece for Collectors” is a self-manipulating puppet creature that is adorned with Burton's characteristic stripe motif and features a simple color palette of black and white with a hint of red. Hot Toys goal for this piece was to represent one of the central themes of Burton’s work—that is, to be emotionally felt. 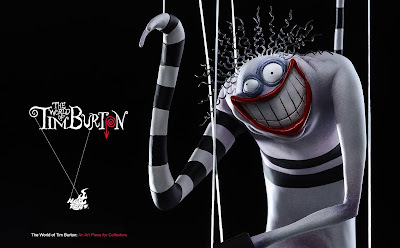 The talented team at Hot Toys has faithfully brought Burton's artistic vision to life, transforming the 2D graphic work into a stunning 3D sculpture and collectible art piece. As a prelude to the opening of “The World of Tim Burton” Hong Kong tour stop exhibition, 300 sets of this limited edition collectible art piece will be exclusively available for pre-order on FringeBacker for fans around the world. 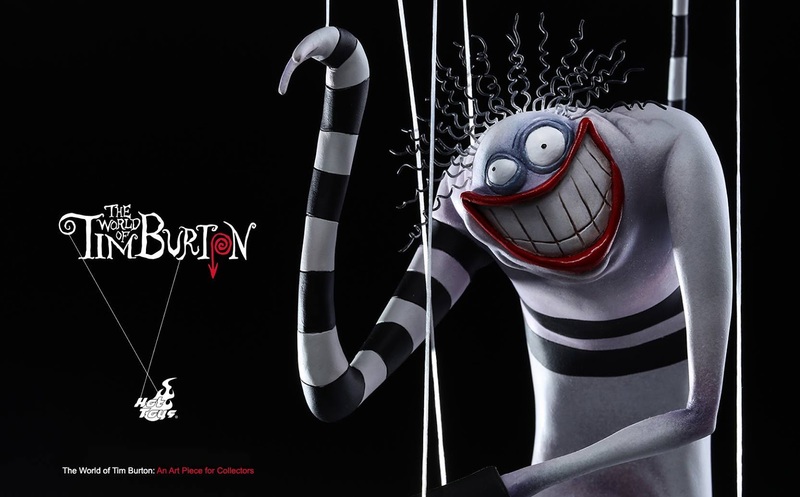 Each collectible is approximately 21” tall (including the stand), marked with a unique serial number and Tim Burton's printed autograph.